The Moores School of Music comprehensively trains gifted performers, composers, and scholars in one of the finest public university schools of music in the nation. 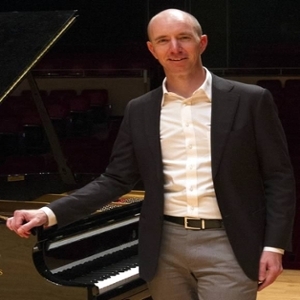 Our outstanding faculty come from the Houston Symphony, the Houston Grand Opera, the Houston Ballet, the Metropolitan Opera, the New York City Opera, La Scala, and numerous other of the finest professional music organizations in the world. Our students come from the world over, and they participate in a wealth of opportunities - from international competitions to grammy award-winning ensembles, from transformative education outreach missions to illuminating academic classes. The Bachelor of Music provides an intense focus on music, with students required to choose a performance concentration in piano, organ, voice, wind, brass, strings, or percussion. In addition, they can choose to pursue elective studies in Teacher Certification (music education), Music Marketing, Nonprofit Leadership, Music Theory, Composition, or Religion. The Bachelor of Arts in Music is primarily a liberal arts degree but with a strong concentration in the field of music. It is aimed at students who want a broad, classic education or who are interested in combining musical expertise with another field via a double major or double degree program. Minors in Music Literature/History, Music Theory, and Interdisciplinary Arts allow non-music undergraduates to integrate musical study into their formal degree. The Masters in Music program provides exceptional instruction for graduate students who want to focus on performance, teaching, conducting, composing, or scholarship in musicology or music theory. The Doctoral program is aimed at students who have already earned their Masters degree in Music but want further formal study. It prepares these students for a careers as professors and scholars and helps dedicated performers and composers hone their skills and credentials. The Certificate in Music Performance is an intensive, two-year, postbaccalaureate program focusing purely on performance. Our faculty, comprised of world-class musicians, scholars, and teachers, are leaders in their fields. Performing, conducting, researching, and teaching at home and around the world, they offer students an educational and artistic experience that is second to none. We have over 500 students from all over the world, in fields ranging from music performance to music education to musicology. With a history stretching back to its birth as a music department in 1940, our alumni range from award-winning performers and noted scholars, to inspiring composers and transformative educators that impact the world through generations of students. We are ensconced in the Kathrine G McGovern College of the Arts, providing students and faculty with an inspiring creative community and opportunities to experiment and collaborate with other artistic disciplines. The university community provides an exciting and supportive atmosphere, as well as practical services such as a full-service career services office and ample student housing options. Led by the Moores Society, our patrons are passionate about music, both as spectators and as volunteers. They provide the audience that transforms music into a performance art and have an outstanding legacy of nurturing the school's talent. Boasting a host of renowned performing arts organizations (including the Houston Symphony, Houston Grand Opera, Houston Ballet, and multiple chamber and period-instrument ensembles), Houston is second only to New York City in the scale of its cultural district. Beyond the inspiration of a thriving arts scene, students and faculty benefit from the deep roots and frequent collaborations with Houston's artists, educators, and communities. The 800-seat Moores Opera House is the crown jewel of our facilities. 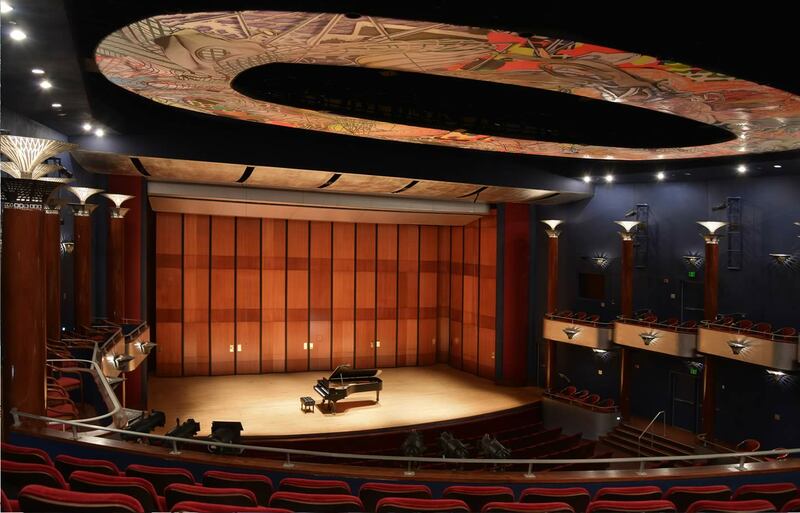 It features a Frank Stella art installation, one of the largest stages in Houston, an orchestra pit large enough for 70 to 80 musicians, and sublime acoustics. In addition, the school has fully soundproofed rooms and rehearsal spaces with Steinway pianos and top-of-the-line instruments, additional recital halls, and a dedicated music library within the main music building.